Let Down Time Services bring our portable boring bars to your site for convenient, cost effective line boring or hole boring and honing. Our inventory of hydraulically powered boring bars range from 2 1/4-inches to 10 inches in diameter and up to 32-feet long. We can easily bore diameters in excess of 10 feet. 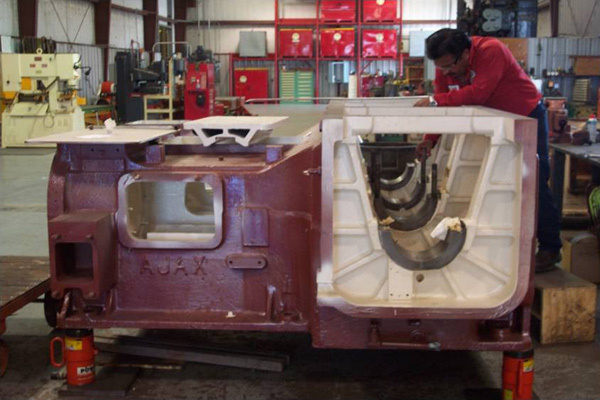 Our technicians will machine expertly aligned holes for a variety of applications, including compressor repair, heavy equipment repair, bridge repair, large fab bore alignment, press repair, pump body boring, bearing seat repair, valve body boring, engine block repair, ship repair, turbine repair and much more. For more information on our line boring and hole boring capabilities, contact Down Time Services today.